Famous for illuminating the hidden workings of human relationships, Alice Adams’s short stories appeared dozens of times in The New Yorker and was a mainstay of the O. Henry Award collections. 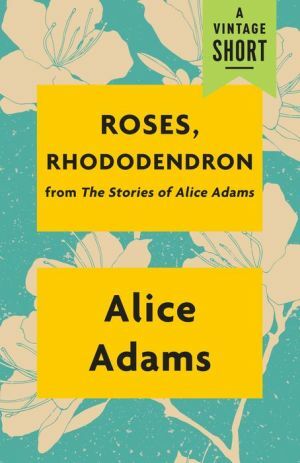 From her capstone collection The Stories of Alice Adams, “Roses, Rhododendron” chronicles the power of a lifelong friendship. When a young Jane Kilgore moves to North Carolina with her superstitious mother, she meets Harriet Farr and finds comfort and stability amongst her family. As Jane’s life takes her away from the South, she learns that her relationship with the Farrs shaped her childhood and life thereafter.